Autonomous SmartDesk Review – Why is the Autonomous SmartDesk 3 different? Autonomous SmartDesk Review – How does the Autonomous SmartDesk 3 work? 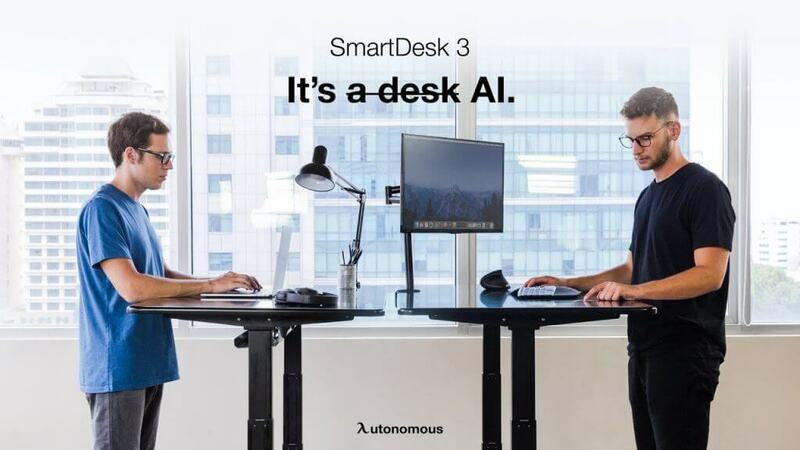 The SmartDesk 3 with AI technology is the leading standing desk from Autonomous. It combines the functionality of a standing desk with impressive technology to make work life much easier. All companies have their flagship products. From smartphone manufacturers to sporting equipment options, customers know there is the true value in flagship products. They use the best materials and they are made with the most attention. In most cases, they are even the best. Indeed, this is the story of the SmartDesk 3 as well. It’s not that the SmartDesk 2 is not a good choice, but there is the feeling that the SmartDesk 3 is truly special. On paper, the standing desk looks impressive. AI technology with leading materials and a simplicity characteristic of big brands is just the beginning. But for some people, the $499 price point is unbelievable. A flagship product at an affordable price is certainly a hit. First of all, AI technology is a clear advantage. Based on a 7” interactive screen, the technology is easy to use. Being integrated into the desktop, it is also out of the way. It allows users to interact with it only when needed. Of course, height adjustability can be programmed through the AI technology. But it also allows users to order some food or a coffee when they need a boost of energy. The local places which sell food can be found quickly. The AI shortcuts also include clock and weather functions, in case of workers lose track of time. Drinking water is crucial through the day and there is an AI shortcut for it as well. A businessman can also keep an eye on the latest stock market developments with a dedicated shortcut. A calendar function is also included. But those who value a standing desk are certainly career people, who may be stuck in the office from time to time even late through the evening. For this purpose, Autonomous included a rather practical shortcut to call an Uber and reach home safely. Of course, not all of these functions are going to be used every day. But if seen for their true potential, they can certainly make work life easier. There’s no denying work can occupy most of the hours of a day. Instead of constantly complaining about various tasks and comfort issues at the office, people could consider the SmartDesk 3 to improve their health and to also boost their productivity. It goes without saying that they can enjoy one of the best experiences when it comes to AI technologies. SmartDesk 3 is still not a regular occurrence that these technologies are used with standing desks. It is certainly not often that users can find these two attractive propositions at such an affordable price. Maybe playing your favorite track on Spotify is not on the list of priorities with your new desk. But some workers didn’t even know that such an option exists. And since brakes have their place as well, the AI shortcut can be a recommended solution for many types of offices. The direction set by Autonomous is clear. When work needs to be done, everything is at a high standard to allow workers to concentrate. But at the same time, when it’s time to relax, the SmartDesk 3 can be a great option. It can combat burnout, which is just as important as working really hard. Work hard play hard should be the slogan of the SmartDesk 3 with AI technology. There is also room for further discounts. Autonomous encourages all office workers to use standing desks. As with other options from the manufacturer, the price drops at 2, 5, 10 and 15 purchased units. 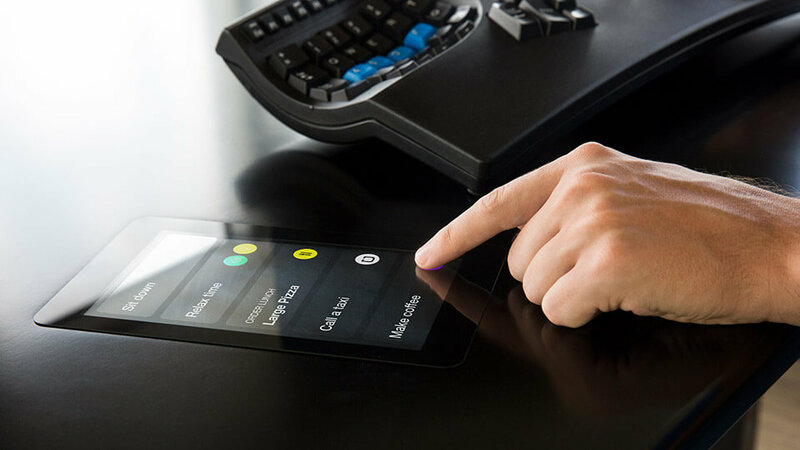 The Autonomous SmartDesk 3 doesn’t need physical buttons. Everything can be controlled with the help of the 7” built-in AI screen. It simplifies the workflow considerably. It is available with white, titan and grayscale tops, but the simplicity is the same, regardless of the chosen color. Every flagship has its own story. The Autonomous SmartDesk 3 AI standing desk is not based on some tradition of hundreds of years or on some type of office life legacy. It is new and revolutionary. It simplifies the way people work. This crisp, sharp and fresh feeling is what characterizes it the best. Many manufacturers try to overcomplicate AI technology and forget its very own nature. It needs to make life easier. Autonomous has made this possible with the SmartDesk 3. 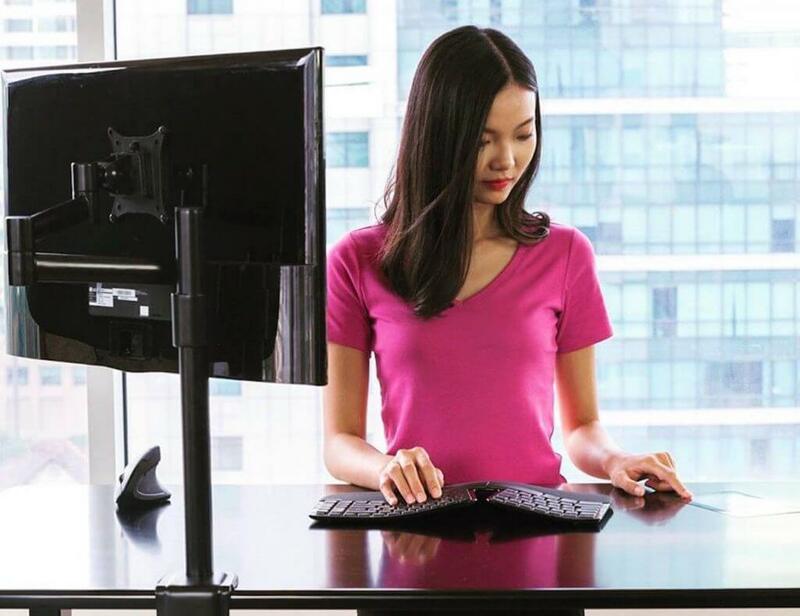 But if the AI technology is the heart of the standing desk, the frame with the desktop is the spine, which is still very durable and covered by a comfortable 5-year warranty. The intuitive engineering removed the need for a crossbar and it offered even more freedom of movement for the standing desk. With sturdiness, great freedom of movement, AI technology at the fingertips and a posture which is always correct, the SmartDesk 3 is a flagship choice for the pretentious user.